Solar – A Boon To The Indian Society! Solar power is catching momentum in different parts of the world. With improving technology and reducing costs, solar energy is here to stay forever. The Indian solar power prices have fallen to as low as INR 2.44/ kWh, touching record lows and competing with fossil fuel generated power in the country. Solar power is now cheaper than coal-based power in India. Private homeowners, businesses – big and small and government organizations are installing solar panels on their rooftops because the economics have become so attractive. With storage cost further set to fall, the overall dynamics of going solar will attract more and more customers. Battery storage will solve the issue of intermittent power supply inherent in solar energy. All these factors have led to mass adoption of solar in many parts of the country, especially rural areas where there is no grid connection. India is in a win-win situation where the price of this revolutionary technology is falling and there is an ever-increasing demand for power. As solar enters into the rural parts of India, the lives of many have benefitted. India is a huge country with still a large number of people still live in darkness. It can, therefore, make solar power available to these sections which will not only be cheap and useful but also environment- friendly. People have no lights, fans or enough power to lead a normal life. 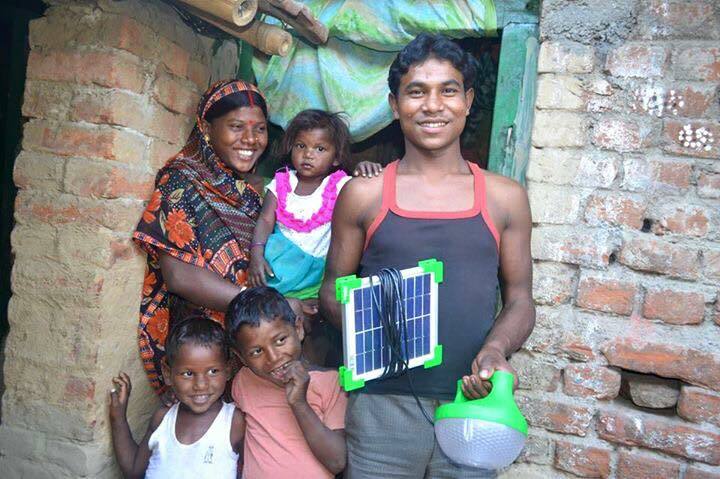 But with solar energy came a new ray of hope in the lives of these people. Today villagers have access to at least solar lights and fans running on solar power. Men use solar water pumps at their farms, while women use solar lights to do their household chores and children can read. Prior to solar, people used kerosene and other fossil fuel-based lamps which is not only polluting but also hazardous to their health. The recent 2018 Budget has approved nearly $21 million of funds to provide solar power equipment and solar power projects in its agricultural sector over the next few years. The Centre and State governments will work hand-in-hand to implement large-scale solar power projects and mass adoption of solar pumps in the Indian agriculture sector. Solar powered rickshaws will not only ease the lives of commuters in villages and nearby areas but will also maintain the environmental sanctity in the rural areas. People in these areas should thus be educated about the benefits of going solar and should be encouraged to use more solar products in their daily lives.